Oprah-fied!!! And I love it! 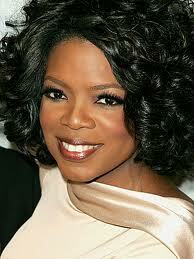 What better way than to find true “self” than to indulge in some Oprah?!?! I must say, I tried and tried and tried to deny the Oprah power, but recently I’ve given in and it feeeeels gooood! Like a lot of people, I worked when Oprah came on and I found myself always being that ONE person who would catch a snip-it of what was on that day and it seemed like I was just plain and simple MISSING OUT! As her career came to a close, I just chalked everything up to a loss! I missed the Oprah Boat…right? Nope, she actually outdid herself and began her “Oprah Lifeclass” and I swear this series was meant for ME! Well, at least I’d like to think so. In order to get to the right place in life, you have to open yourself up to new things OUTSIDE of what you have been doing! Then you will be in a happier place and inviting of the “dream flow” !! !